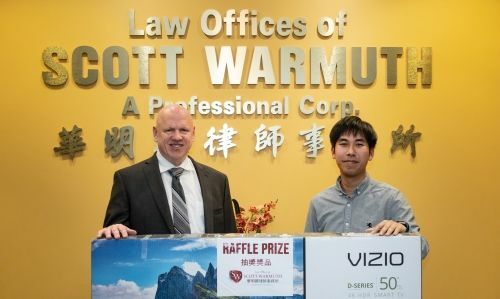 The Law Offices of Scott Warmuth hosted a booth at the Asian American Expo in Pomona on January 19th and 20th. We met many people in the community and raffled off a 50" TV! We also took some pictures at the event! The California bail bond industry has secured enough signatures for a 2020 ballot measure addressing the recent passage of cash bail reform. Cash bail reform was passed last year and was scheduled to take effect in October. With the ballot qualification, the California Money Bail Reform Act will not be implemented this year.